A Weekend Sitting is a two-and-a-half-day day meditation intensive. Arrival is between 4-5 pm, we will have an opening dinner on Thursday at 6 pm, followed by evening meditation. 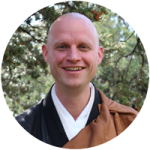 All day Friday, Saturday and Sunday morning will be dedicated to an intensive practice schedule with formal tea in the Zendo and a Dharma Talk by the Teacher. The meals will be eaten oryoki style. The weekend ends with a lunch on Sunday.